Stephen Becklund and his dogs, Max and Ellie, herd cattle at the J Bar L ranch on a sunny November day in the Centennial Valley of southern Montana. The J Bar L ranch finish their cattle on grass, in contrast to the vast majority of ranches in the U.S. that send cattle to feedlots. The 2,000 head at J Bar L “never go into a feedlot,” said Bryan Ulring, manager of the ranch. He added that the J Bar L is one of the biggest grass finishers in the state. The Centennial Valley is an important wildlife corridor for elk, moose, antelope, deer, wolverines, grizzly bears, wolves and hundreds of bird species. 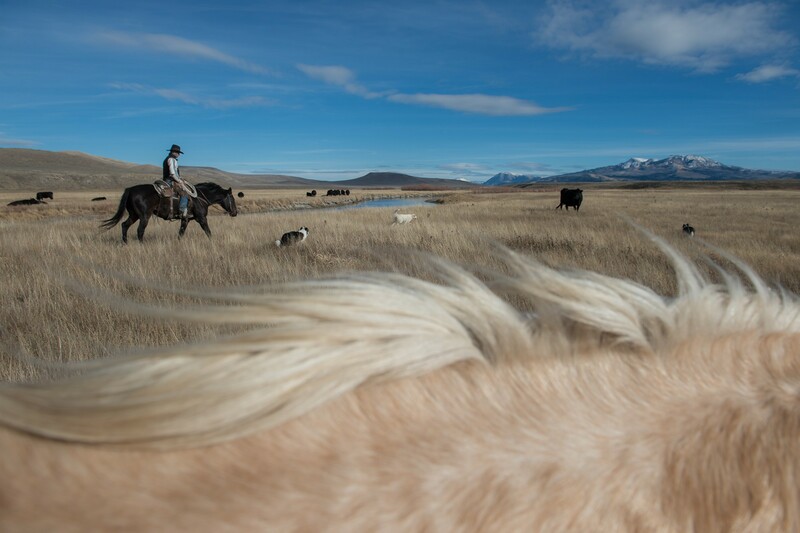 The valley is largely owned by a handful of large ranches, which means their use of the land impacts the local environment.